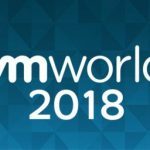 Finally here: after hopes, reading blogs, plans and many fun facts around this event I realized that my first attend to VMworld is not a usual first timer experience. That’s what I define: “Extreme VMworld experience”. This because I choose to attend every special, cool, funny and extreme things: like Hackathon, vRockstar, vExpert party and a special events like Storage Builders meeting and Tech Field Day. Let me show in depth during this post blog. Don’t dress something special: people in Catalunya wear simple dress in the city and sea dress in the beach. This because tourists are the principal target for thief. Because you’ll walk a lot during the day, be sure that your shoes are confortable. Don’t worry for dress code: a lot of people there, are wearing simple shirts, jeans and gym shoes. 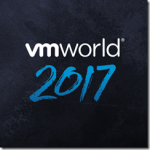 Choose an hotel near Placa Catalunya, don’t worry about the distance from Fira, VMworld hostess will give you Metro ticket for all the stay. Quite all parties will be in this square. Just to know I stayed here: http://www.hcchotels.com/it/hcc-regente/ IMHO is a great choice between cost and servces. Looking to https://www.tripadvisor.com you could find cheaper alternatives. 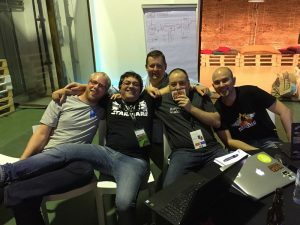 Simply I choose less party and more “networking moments” like Hackathon, vBrownbag and volunteer in VMUG booth. No time to eat something after landing in Barca, because taxi is waiting to bring me to Storage Builder event. Here was my first in person meeting with Stephen Foskett (@SFoskett), the TechFieldDay owner (http://techfiledday.com ) and other community friends like Alastair Cooke (@DemitasseNZ), David Vanum (@Overlaid), Pietro Piutti (@Stingray) and Max Mortillaro (@DarkkAvenger)… I know! they are some of Tech Field Day panelist (if I forgot someone, please let me know). After VMworld registration and a little shower, the next step is vRockstar party. 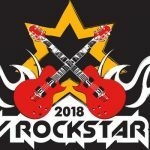 One advice for next years: when registration starts on this site (http://vrockstar.eu/) you have only few minutes to gain the ticket. Last year after 20minutes it was sold out. The first day starts slow and ends rocks! This because the first day is for partner/tam in the morning, but you could follow some technical sessions in the afternoon. Because I’m not a TAM or Partner, I spend some time meeting people in VMvillage, start bogging and preparing for hackathon, meeting Giuliano (@GiulianoBerteo) and Timo (@tsugliani). Hackathon is a “not” competition with few rules: write the code, eat, drink, learn, teach and “don’t poke the Dutch guy”. I’d like to post in depth what’s happens during this moment. My English is not good at all, but I really enjoy and learn a lesson for next time that it will happens again: Don’t drink a lot if you are the team leader! Thanks to Timo that aided me (he saved my *ss ) during the presentation. A message for Italian guys Massimo, Fabio and Giuliano: <<Don’t say a word about this with VMUGIT leaders >>. A special thanks to my team member! In the next post I’ll talk in depth about this great moment, including code and give away. Here we are… me and my friends with many bloggers that I’m in touch but never seen before. One o these is Vladan Seget (@ http://www.vladan.fr/) one of my reference point in how to blog and how to write using the correct thought to share with the people. 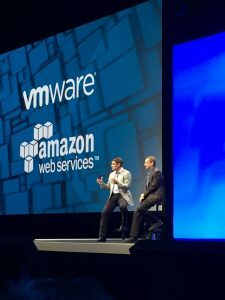 The first speaker is Jean-Pierre Brulard (SR VP and general manager EMEA) who starting with some greetings to VMworld’s attendees, partners and communities like blogger and vmug leaders and users. 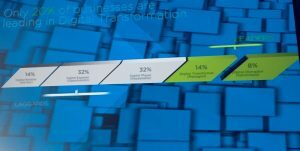 Cool highlights to AirWatch Connect and many messages like <<You’re tomorrow>>. Decrease It budgets and the growth of the requests build new opportunities for the IT: Redefine it’s role is mandatory, and thinking about the old IT guy role, there is a new approach that must be addressed to every company: IT is a provider, and all department are consumers! but IT is in charge for security matters remains responsible for intrusion detection and prevention, anti-malware and data breaches. 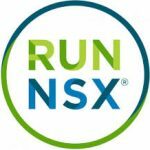 I know it’s difficult to combine Freedom (choose device, bring public cloud, place no limits in your business) and Control (check compliance, monitoring and prevention, secure your data before, during and after transformations); for this reason the SDDC way, with vSphere, NSX, vSAN and vRealize could be realized a true cloud platform that brings: efficiency with performance, security with freedom and automation with control. In the evening a met another part of the community represented to vExpert! It’s really impressive how many evangelist are in the world: about 1500. And wow finally have some great talks with Cloud Credibility Manager: Noell Grier (@CloudCredGeek), Andy Nash (@andynash99) and (of course) Andrew Mauro (@Andrea_Mauro). 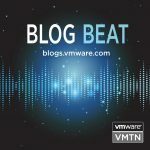 There are more than a blog that is talking about these techs, but the most important things that VMware intends to transfer to sysadmin and devops is that the company is working hard to simplify the IT and bring governance and elasticity in the same place. Finally the BYOD is not a problem with Workspace one: thinking about security and governance, this product could make happy CISO and Sysadmins. During the demo, it was showed the ability to isolate organization data and control every flow in and out by every devices (personal or company). 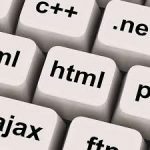 finally HTML5 UI and a new sets of API and Powercli commands: there’s a new UI HTML5… could be the really end for vSphere Client? Let’s see what happens, but let me say that by the growing of the JS/CSS language in modern browser, and the ability to make a more faster AJAX request, there is no real reason to stay with the old client-server working tool. VMDK Encryption: this is a very great think, because finally the data security is brought to the infrastructure level, leaving the OS from the encryption overhead. After many tours through Partners like Rubrick and Turbonomic (Tremble guys! I’ll post something about you in the next time), I had a little time to relax and blog-out in the <<code>> and blogger are (in VM village); but sleeping is for looser, because I was preapring for an Italian vBrownbag. Thanks to Andrea (@VMUGAndrea) and Ann (@Ann_Saari) , to see us during the presentation; I really appreciate this! And finally it was time to do my duty: dedicate some time to make a volunteer in the VMUG stand! And I really appreciate how many people stopped to stand to ask, subscribe and had a lot of fun during with me and other leaders! Yes, definitively VMUG rocks! With some cry and a lot of material to post the evening ends with the party and… of course vBeer! With many Italian guys. Back to my home I realized that many announcements could change the cloud selling and modeling in premise and using cloud providers, to make a more resilient datacenter. 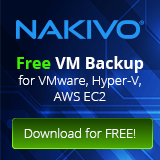 Sure that many sysadmin and cloud consultant must do an hard work of share this new trends to the boards of directors in the companies where they work. 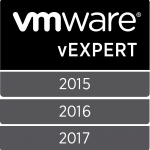 Let’s say many thanks to all vExperts I meet during this day and a special thanks to: Corey Romero (me and the community will really grateful for what you do), Alan Renoulf (hope the hackathon could be in the mainstream in every next VMworld), Stephen Foskett (count in me for next Tech Field), Noell Grier (My knowledge and reputation is growing when I started the first Cloud Cred task). And many thanks again to vmug leaders and VMware! 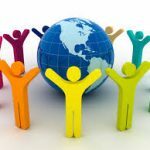 Because they believe in the community, expanding and adding valued contents.